Left to right: Thayers Rose Petal Witch Hazel Toner, Red Flower Indian Jasmine Moisturizing Body Lotion, Too Faced Beauty Insurance Kit, Neutrogena Deep Clean Facial Cleanser. 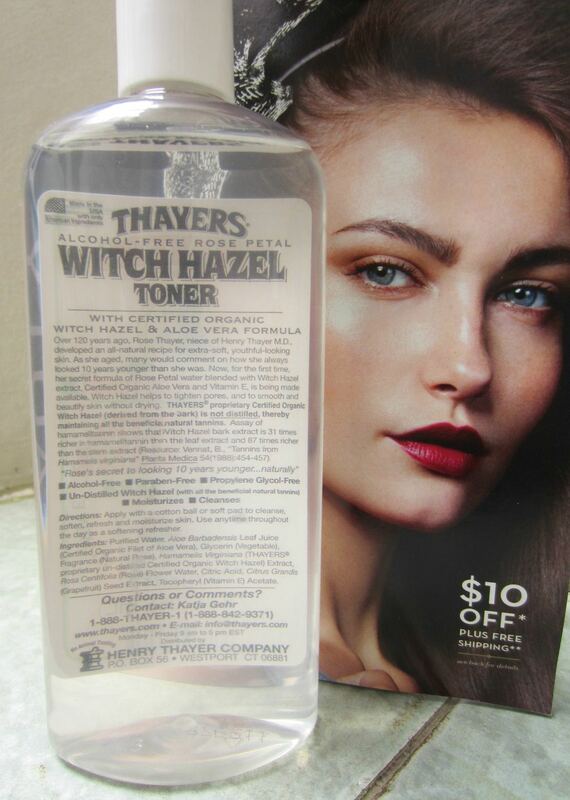 I have been reading about how good this Thayers Witch Hazel Toner for oily or combination skin, I've read it in make up alley, in some beauty blogs and youtube beauty gurus, and I'm always curious about it. Since they comes in big bottle so there's no way I would buy it online and have it shipped here because I'm afraid whether the overseas shipping would be safe enough for a big bottle full of liquid, and because it contains fluid so I'm not sure too whether I would get trouble with shipping a big liquid bottle via the usual postal shipment. So when I was browsing drugstore.com I thought it was the right time to buy it because my MIL can bring it inside her luggage. Witch Hazel has been known for their many benefit for the skin, it helps to clear out some impurities on the skin surface and it also helps to tighten pores and smooths skin as well. And unlike most of the other brands, Thayers version has un-distilled witch hazel which means more beneficial natural tannins which is great for our skin! This toner also has certified aloe vera formula and added Vitamin E to help smooth and beautify skin without drying. The Vitamin E itself has a moisturizing function. SHORT REVIEW: After using it for several weeks, I guess I like this toner because it doesnt dry my skin and it leaves my skin moist because of the moisturizing factor in it. I also think it helps freshen my face and it also helps with the problem of uneven skin tone on my face. I really hope this toner would help clear out my face in the long run. So far, all I can say is this toner really suits my combination skin. I know you can get Neutrogena in special store here in Jakarta, but they usually always ran out of the oily version. Every time i checked a store they always said the oily skin version are out of stock! So I guess it's time for me to buy this while I can. I remember I loved how my skin feels after I washed it with this cleanser. It feels fresh, clean, and it gets rid of oil on my face and helps keep it at bay. It didn't leave any residue feeling, just a smoother clean skin. I also recommends this if you have oily or combination skin like me. I've been eyeing for the most raved eyeshadow primer which are the Urban Decay Primer Potion and this Too Faced Shadow Insurance Eye Shadow Primer. Both are quite pricey so I decided to try some samples. When I browse Too Faced Shadow Insurance on beauty.com I found this mini pack instead, so I thought why not? I got to try three different primers and the mini tubes are just perfect for my daily makeup bag which I always carry in my handbag. I actually haven't tried any of the primers because lately I always runs out of time every time I'm getting ready to go out, and I didn't have enough time to put on everything so it's always been a "quick easy makeup of BB Cream + Powder + Mascara + Lipstick" nowadays.. This one is not included in the big picture above (see first pic) because I received this a few days after I took the photo. And last but not least, my brother in law and his wife also bought me a Victoria's Secret Pure Seduction Pouch Set as a gift! 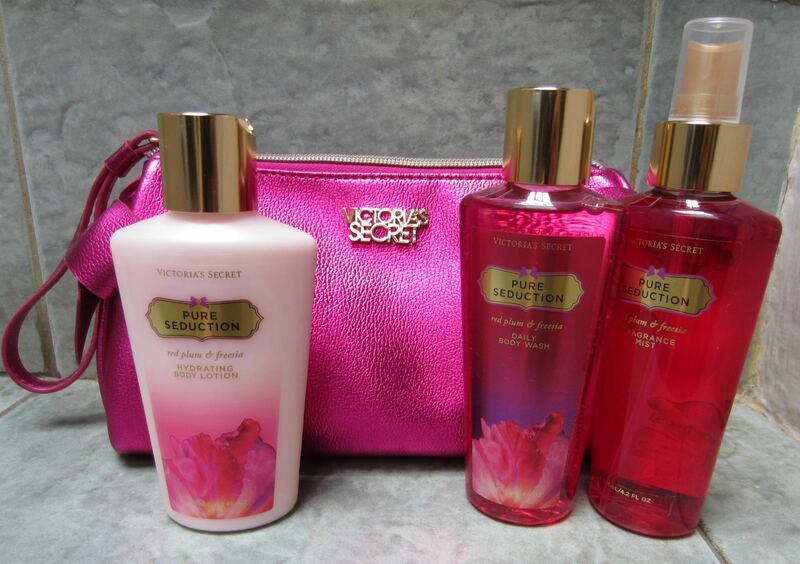 It consists of Pure Seduction Daily Body Wash, Hydrating Body Lotion, and Fragrance Mist plus a really pretty sparkly fuchsia pouch with bows on either side, so cute! To read all of my "Hauls & Freebies" posts, just click here and keep scrolling down on that page. 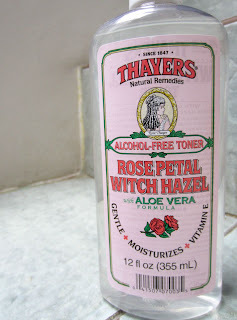 I swear by Thayer's Witch Hazel toner! 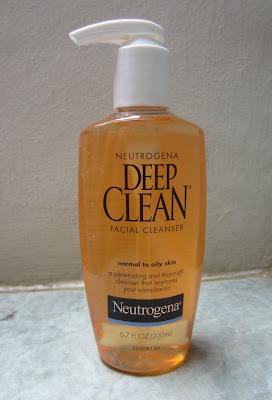 I love Neutrogena Deep Cleansing Foam. Do they sell here in Indonesia? 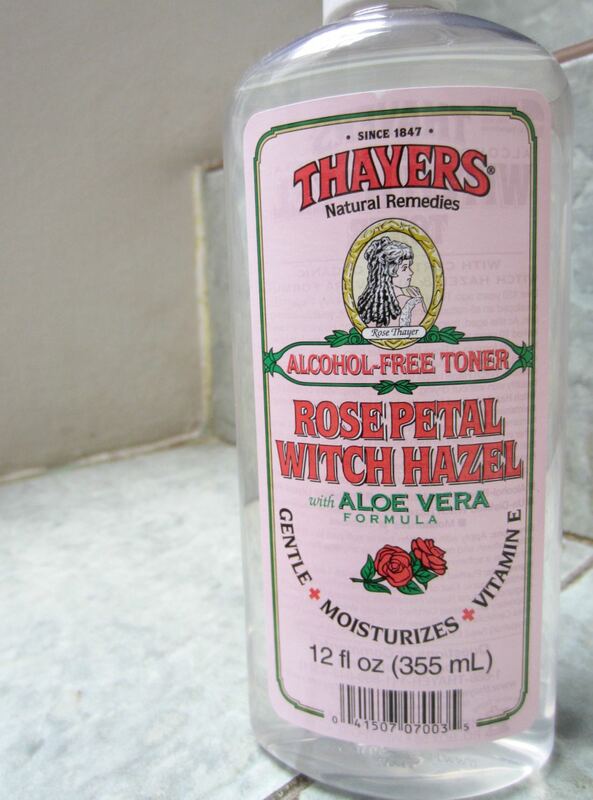 Witch hazel is awesome! I'm surprised how well it works compared to its more expensive counterparts. Great haul!